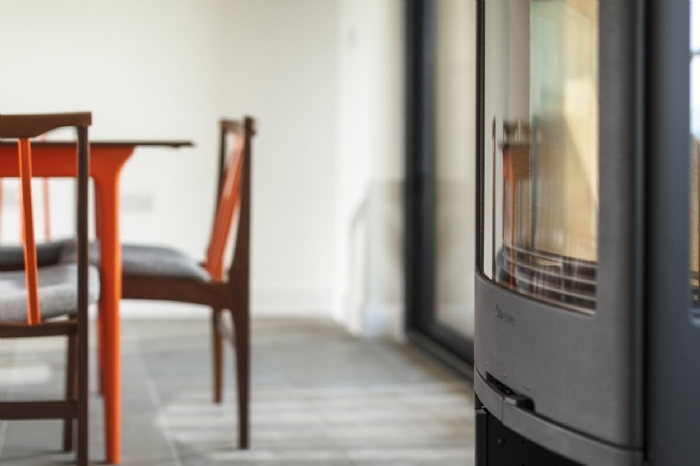 Last year, The Point at Polzeath finished it’s build of 7 eco apartments which feature spacious open plan living areas with floor to ceiling sliding doors leading onto private terraces with views across the golf course and out to Pentire Point and the sea beyond. Architects, Laurence Associates based in Truro, have fused modern luxury with ecological design and materials to create a premier destination for the environmentally-conscious traveller. The building itself is beautiful, designed with attention to every detail including the sedum roof and Kebony cladding which helps it to discretely blend with the surroundings. 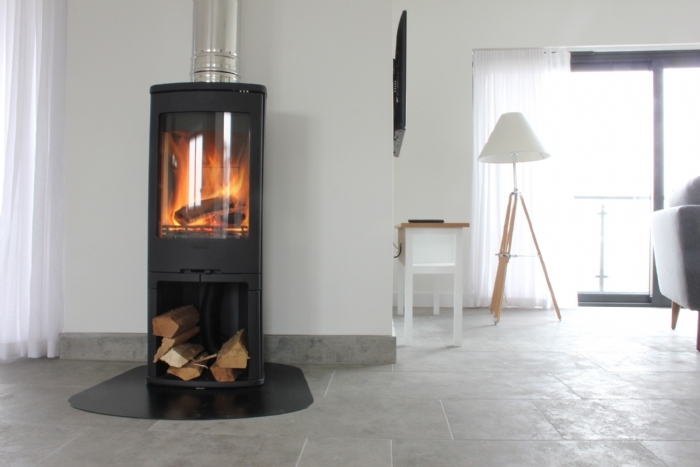 High quality building materials and ground source heat pumps were installed which supply hot water and underfloor heating throughout. 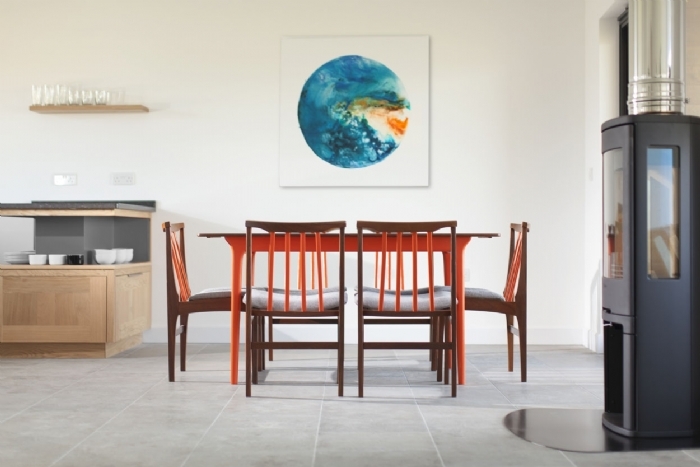 The finish is contemporary with modern light furniture that has been uniquely designed and ‘up cycled’ with subtle hints of seaside living in the accessories. 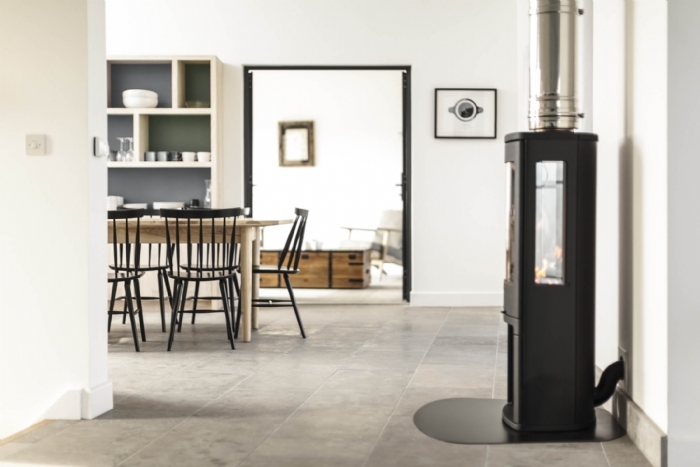 Stone flooring, wood burners and kitchens are individually designed and built by a local craftsman to complete the bespoke look. 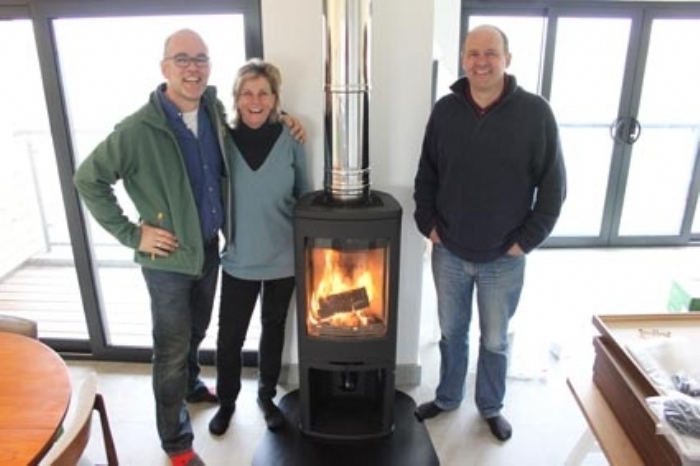 Jeremy and Eva Davie, owners of The Point at Polzeath tell us why they chose Kernow Fires to install their woodburners and why they choose the stoves they did.